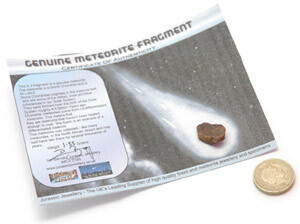 Meteorites UK. Genuine Meteorite Fragments. Meteorites Gifts. Stony Meteorite Jewellery. 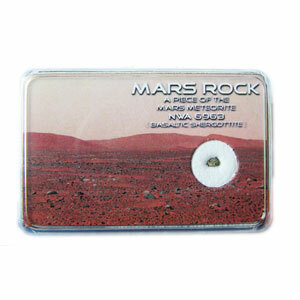 MARS Rock Box. Very Tiny Fragment of Real MARTIAN Meteorite - Weighs approx 6-10milligrams. Tiny Martian fragment from meteorite NWA 6963. 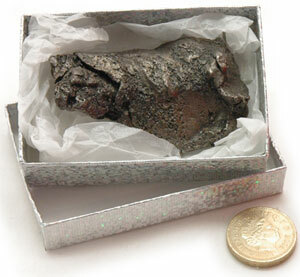 Genuine authenticated Mars meteorite fragment. Sample weight varies between 6 to 10 milligrams. Sample length : approx 1.5 to 2mm across. Comes with Certificate of Meteoritical Authenticity. 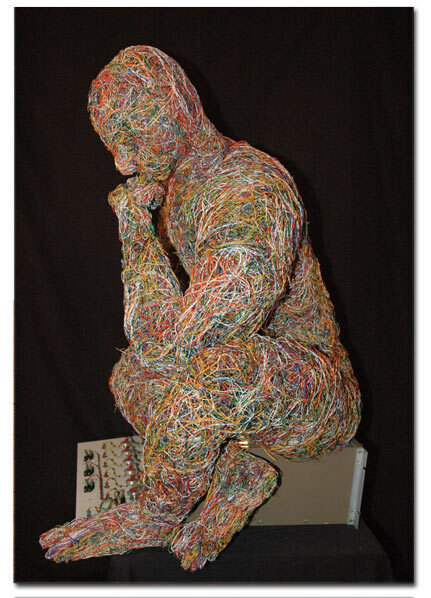 Sent directly from craftsman's workshop. 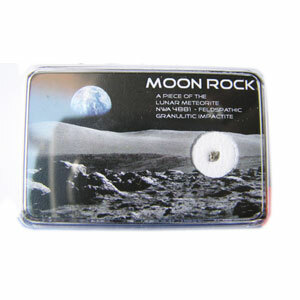 Genuine authenticated Moon Rock Fragment. Camp Del Cielo fragments collected from a meteorite fall in Argentina which fell between 4,000 to 6,000 years ago. 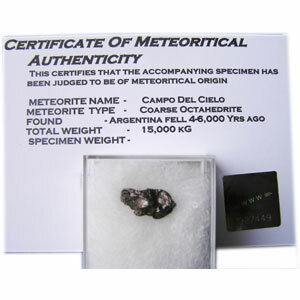 Campo del Cielo is a Coarse Octahedrite meteorite. Five tiny fragments: total weight approx 1.5 to 2 grams. 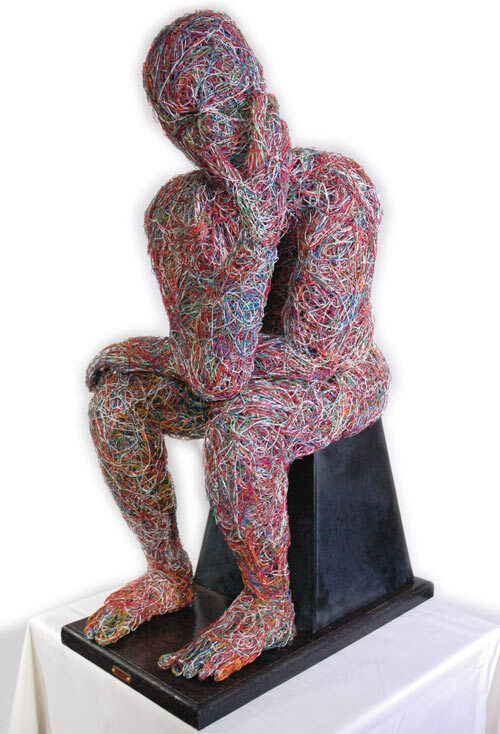 Comes in box, with information sheet and signed certificate of authenticity. Camp Del Cielo fragment collected from a meteorite fall in Argentina between 4,000 to 6,000 years ago. One fragment measuring 1 to 2 cm length, weighing approx 2-3grams. The fragment you receive will be similar to the one shown, but not exact, as each is unique. Comes with information sheet and signed certificate of authenticity. Unclassified Ordinary Chondrite L4/L5 meteorite fragment. One fragment measuring approx 2 cm length, weighing approx 6 to 10 grams. 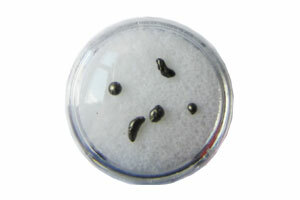 Stone Chondrite L4/L5 collected in North African Sahara desert. Average weight between 2 to 6 grams. Length of meteorite fragment : 1 to 2 cm. You will receive a small Stone Chondrite similar to above but not exact. 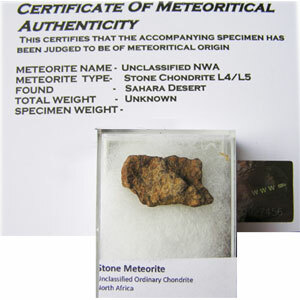 Card mounted genuine Stone Chondrite Meteorite, glued to card along with descriptive signed certificate of authenticity. 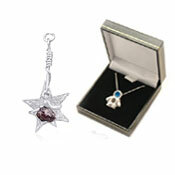 Stunning Gifts : From Out Of This World. Meteorite Fragment. (Camp del Cielo - Argentina) Discovered in 1576 but thought to have fallen about 4000-6000 years ago. No Certificate Available : Hence Low Price. 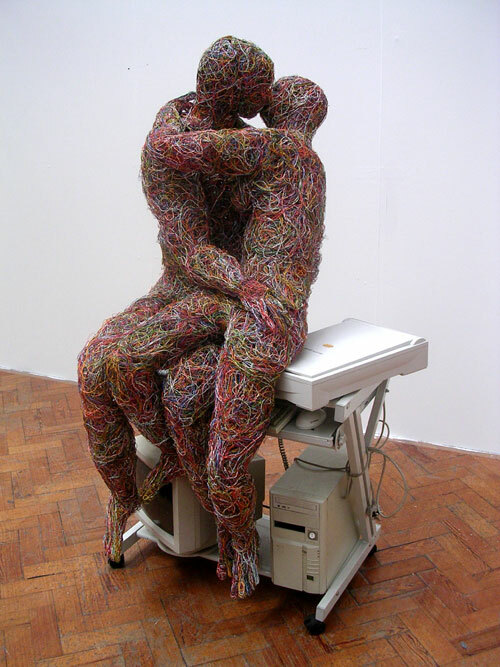 (purchased from reliable source). Size 6.5 x 4 x 2.5 cm at widest points. Meteoritics Planetary Science. Meteoritical Society. Research and Education on Meteorites. Study Includes Meteorite fragments from outer space, The Moon and from Mars. Only some meteoroides make their passage through the atmosphere in one piece. Most meteorite are fragmented. Sometimes meteorite fragment into thousands of individual pieces creating a meteorite shower. the smaller meteorite fragments some times burn up but can thousands of meteorites can be collected from huge strewn fields.